Jewish Groups Praise Iceland Proposal Against Banning Circumcision - Breaking Israel News | Latest News. Biblical Perspective. Iceland’s Judicial Affairs and Education Committee recommended last week that the country’s parliament dismiss a proposed ban on male circumcision, effectively putting an end to a three-month national debate over the legislation. The committee issued the April 26 proposal after reviewing the bill, which was introduced in February by several left-wing members of the Althing, Iceland’s parliament. The proposed law sparked international controversy over the extent of religious freedom, with Jewish, Christian and Muslim groups condemning the measure, which would have represented the first official ban on circumcision in Europe. The bill, which had passed a preliminary vote earlier this year, stipulated a sentence of up to six years in prison for those performing or arranging for the circumcision of a minor. The suggested ban came at the same time that a young Jewish couple, Rabbi Avi and Mushky Feldman, announced the opening of a Chabad-Lubavitch center in the nation’s capital of Reykjavík. Circumcision would be one of many services to Jewish residents and visitors there. “Respect for diversity and religious freedom is an important part of Iceland’s identity as a sovereign nation,” he told Chabad.org. “The Icelandic people have had their share of religious persecution and cultural censorship while under foreign rule, and as we celebrate the centennial anniversary of the 1918 Icelandic sovereignty referendum, we are reminded of the ideals that Icelanders fought so hard to protect. Iceland, which has a population of approximately 300,000, is home to only a few hundred Jews and Muslims. Yet it’s become something of a tourist hot spot, with an expected 2 million visitors annually by 2020. In early April, at the urging of a coalition of Jewish groups spearheaded by the Orthodox Union, U.S. Reps. Ed Royce (R-Calif.), chairman of the Committee on Foreign Affairs, and Eliot Engel (D-N.Y.), the committee’s ranking member, sent a letter to Iceland’s ambassador to the United States, H.E. Geir Haarde, urging his government to stop the legislation from moving forward and to safeguard religious freedom for all Icelandic citizens. Other coalition members include the World Jewish Congress, Agudath Israel of America and the National Coalition Supporting Eurasian Jewry. In their letter to Iceland’s ambassador, Royce and Engel stated that such a ban would create insurmountable challenges for those living in Iceland who embrace the practice—namely, Jews and Muslims—and send a message of intolerance towards different faiths and cultures. The Jewish tradition of brit milah, or male circumcision, is a fundamental ritual and sacred rite of passage. Throughout history, attempts to prohibit circumcision have been tantamount to rejection of the existence of the Jewish people. In March, Allen Fagin, executive vice president of the Orthodox Union, and other Jewish communal leaders met with Haarde in Washington to express concern about the proposed ban, and its ramifications for Jews in Iceland and Europe as a whole. 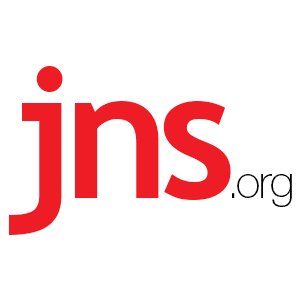 Carin M. Smilk is a writer for JNS.org, an independent, non-profit, business resource and wire service covering Jewish news and Israel news for Jewish media throughout the English-speaking world.